This is an offering of a tastefully done eight-bedroom bungalow, ideal for a group getaway. The bungalow can accommodate eighteen guests and provides all modern facilities for a comfortable stay. It commands a beautiful view of the verdant Western Ghats and is perfect for a peaceful holiday. Your Space With the mountains knocking at its doorsteps, your stay in Mahabaleshwar cannot get any better than at this bungalow! Situated in Nandanwan, this handsome bungalow is fully fitted with all modern amenities for a pleasant stay. Feel yourself at home with your family while you experience a splendid time here. This bungalow offers a completely private space for you and your family without the interference of any other guests. 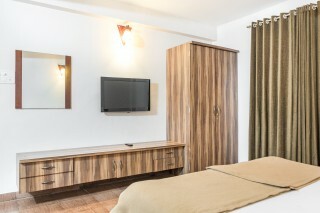 The rooms are packed with all the utilities required for a comfortable stay. The living space, fitted with a television, comfortable sofa sets, glass tables and a dressing table, your evenings with a cup of coffee will be as satisfying as sitting on your own couch, back home. The walls are beautifully decorated with paintings and this bungalow also provides a fireplace for you to enjoy the cool winter nights during your stay. A total of eight bedrooms are available here. 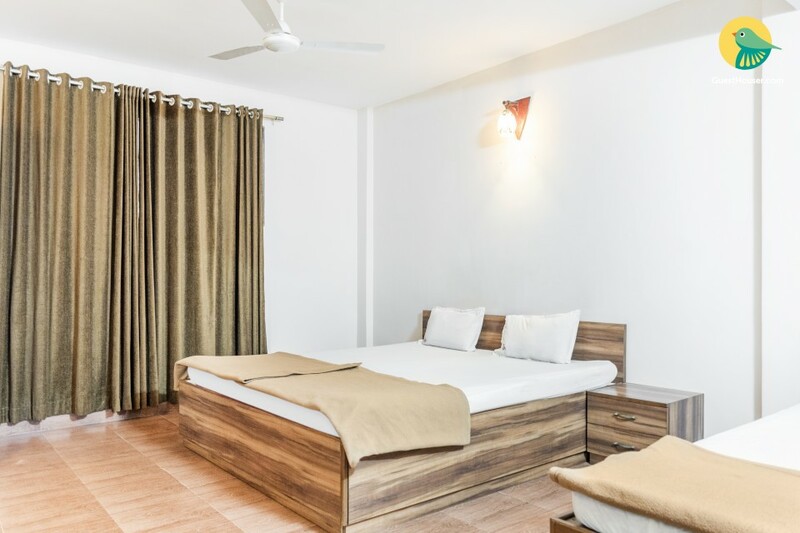 The rooms are substantially spacious and have comfortable beds with delicate mattresses for a comfortable sleep. All the rooms are appointed with air-conditioners, side tables, dressers, and wardrobes. Comfy coffee seating and televisions are also provided for convenience and entertainment. There’s also a family room, which has two double beds. The en-suite washrooms are fitted with western sanitary ware. Large windows in the rooms let in enough daylight. The terrace gives way to a splendid view of the mountains—you can just sit back and admire the beauty of nature! We celebrated a special occasion here... it was marvellous... great views from the balcony!